KATHMANDU, Feb 14: Chinese tourists visiting Nepal this year will find the processing at airport immigration easier. They can also wake up to a Chinese breakfast and end the day with a Chinese dinner. And the whole day they can have guides who explain everything to them in Chinese. With the Chinese new year approaching, Nepal’s tourism industry is all set to welcome a large number of Chinese tourists. The Chinese embassy estimates that around 30,000 Chinese tourists will visit Nepal during the upcoming Chinese spring festival. A function was organised Monday to spread the message that Chinese tourists are welcome in Nepal. Chinese Ambassador Yu Hong, Tourism Minister Jitendra Narayan Dev and representatives of Nepal Tourism Board (NTB) were present. Pradhan further said that the Chinese tourists will be welcomed in their own language. “We have deployed 15 Chinese speaking volunteers at TIA for two weeks.” Starting from February 12, the Chinese language services for Chinese tourists will continue for two weeks. This is the first time in Nepal that Chinese will be the language of business at the airport, besides Nepali and English. Chinese tourists are a huge potential for Nepali tourism and Nepal has already prepared for them with more facilities and systems. “We are also preparing placards with welcome notices in Chinese,” Pradhan further added. 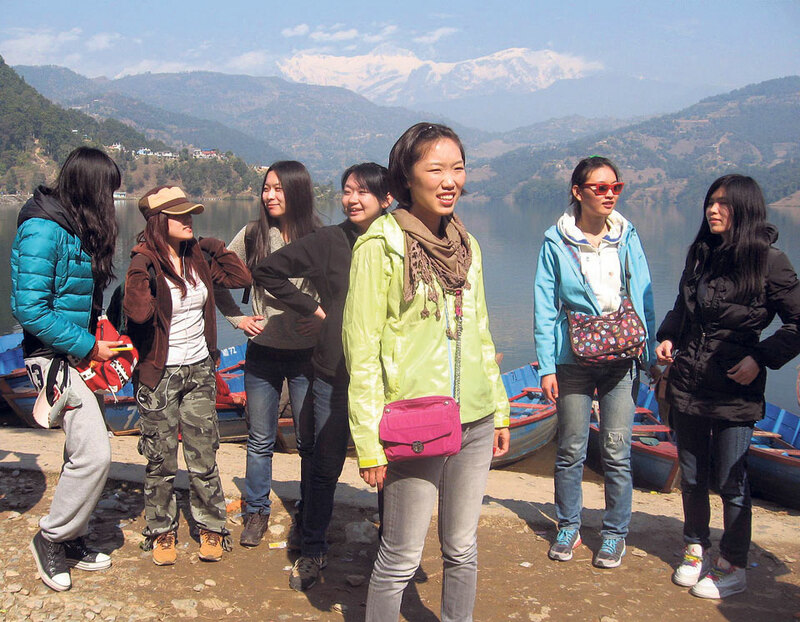 Nepal’s hospitality sector is delighted at the prospect of large numbers of Chinese tourists this year. All hotels and other hospitality establishments have completed their own preparations to welcome the Chinese . 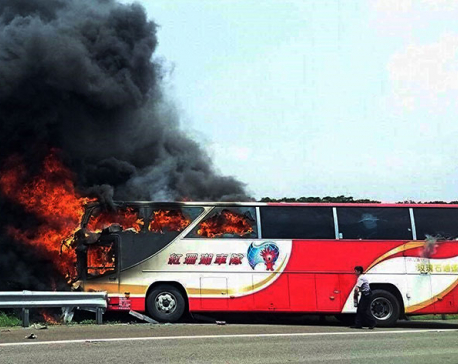 “Every year we receive a large number of Chinese tourists during their spring holiday. So this year also we are ready for them,” said Vinayak Shah, general secretary of Hotel Association Nepal (HAN). Chinese dishes, shows, adventure activities and other items have been prepared for the tourists. Shah further said that Chinese language classes for tour guides will make the stay here of Chinese tourists easier compared to previous years. “The Chinese market plays a huge role in our country’s tourism industry. So we have to strive to bring in more Chinese tourists,” Shah told Republica. According to him, the hotels offer several travel packages targeting the Chinese. Moreover, HAN is conducting Chinese language classes in association with NTB. The hospitality sector has the capacity to serve a large number of Chinese tourists, he added. Tourism entrepreneurs along with the government have been making efforts in recent years to bring more Chinese tourists. According to the Department of Immigration, 2017 alone saw 104,664 visitors from China. China is the second largest tourist market for Nepal after India. The government has implemented a no visa-fee regime for Chinese tourists since 2015.